DALLAS—The rule of law as well as a historic event took place Sunday, January 1 at the Inspiring Body of Christ Church. Veteran Dallas County Deputy Tracey Gully took the oath of office as Dallas County Precinct 1 Constable. The 17,000 membership of Inspiring Body of Christ Church, under the leadership of Pastor Rickie G. Rush, was witness to Constable-Elect taking the oath of office. 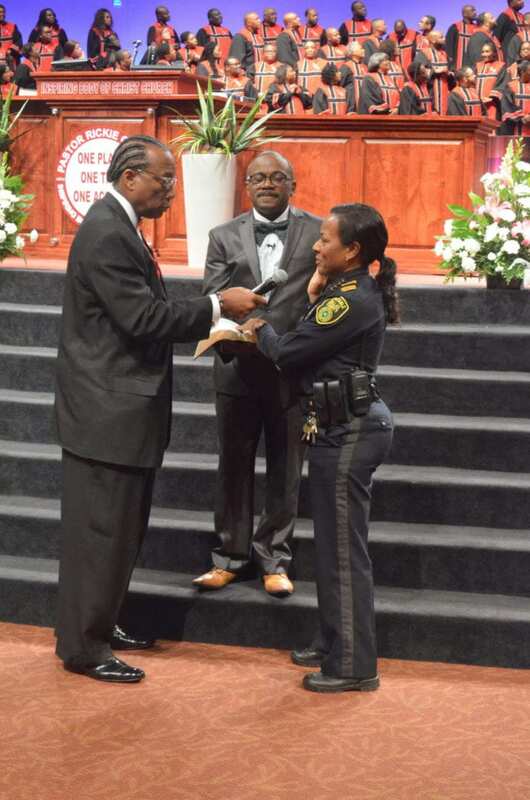 Gulley is the first African-American Female Constable elected in Dallas County history. As one of Dallas County’s largest Constable Precincts, Gulley will assume the reigns of the precinct that includes, downtown Dallas, South Dallas, Pleasant Grove, Mountain Creek Parkway in Dallas, Balch Springs, Seagoville, Combine, Hutchins, Wilmer and Lancaster. Gulley ran unopposed in the November General Elections. In March 2016 the Chief Deputy defeated three opponents in the Democratic Primaries with almost 50-percent of the vote. At the same time, for some months in 2015 there was some conjecture as to if former Constable John Garrett would seek re-election. “There is some talk going on now as to if I’m going to wait until the December deadline to file. I’m telling you right now that I’m not going to file. Furthermore, I am 100-percent behind her.” Former Precinct 1 Constable John Garrett said to supporters at a Gulley rally before the March 2016 primary election. Dallas County Commissioners tapped for the constable position in February 2015. Garrett assumed the post from longtime Judge and Constable Cleophas R. Steele Jr., after his death at the age of 69. 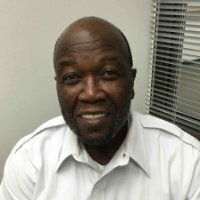 — Texas constitutional licensed peace officer, performs various law enforcement functions, including issuing traffic citations. — Serves warrants and civil papers such as subpoenas and temporary restraining orders. — Operates as bailiff for Justice of the Peace court. Gulley, a 19 ½ year veteran, will assume a budget of $2.5 million. According to Dallas County’s human resources web site constables earn $99,000 per year. Source: Texas Association of Counties.